We spotlight talent and write about productivity, leadership and teamwork. Improve your NPS score with visual communication. The number one reason that most businesses fail is that they put their product before their customers. It doesn’t matter if you have the fastest or most efficient solution; if your customers are not satisfied, your company will never survive. Satisfied customers are the lifeblood of a successful brand. They are the frontline ambassadors that give your offer validity in the market. When you see fans lined up for miles waiting for the latest product from a brand like Apple or Louis Vuitton, you know they have successfully created satisfied, raving fans. If you can find a way to keep your customers happy, every other aspect of growth becomes easier. The problem most businesses face is finding a way to gauge and measure customer satisfaction. This is when your team should turn to the NPS system. Almost every large organization measures their customer satisfaction through an NPS score. This score is simply a measure of the overall experience customers have while interacting with your brand, products and team. NPS is a proven metric in helping predict the growth of your business and is a key indicator of the success of the customer support team. On average, a 12-point increase in NPS translates into a doubling of company growth rate. On average, a 12-point increase in net promoter scores leads to a doubling in the company’s rate of growth. 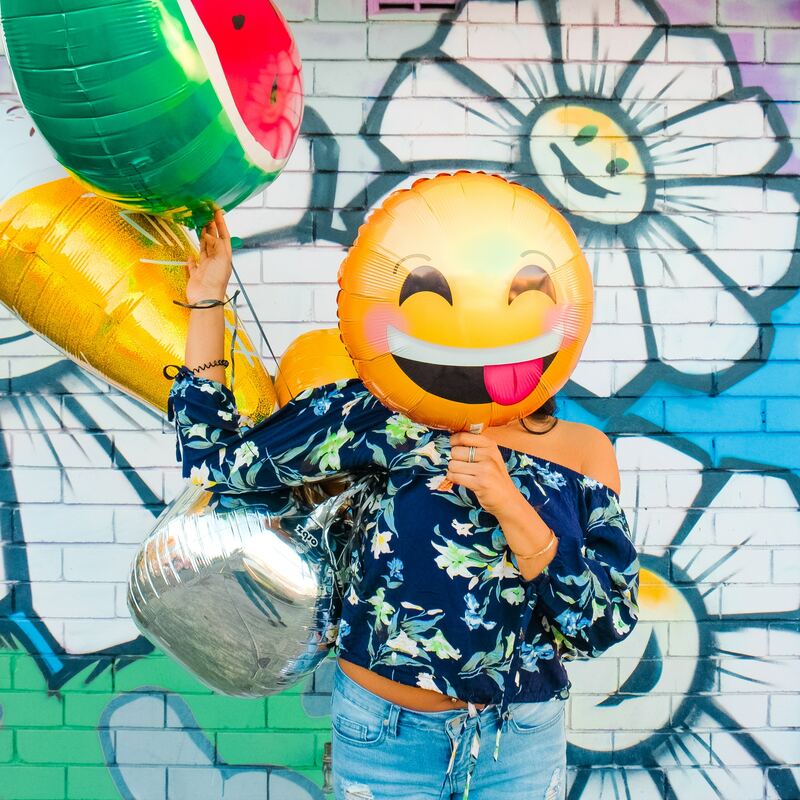 To calculate your score, use a key question such as “How likely are you to recommend our brand to family and friends?”, and measure responses on a scale of 0-10. The answers are then grouped into three different categories: Promoters, Passives and Detractors. To obtain your NPS you subtract the number of detractors you have from the percentage of promoters. A net promoter is essential for any online and offline business. What is a “Good” NPS Score? Your organization’s NPS score calculation can range anywhere from -100 to +100. A score above 0 is considered “good”. A score above 50 means your company is “great” and a score above 70 means you are a top performer. The companies that work to become “world-class” in customer service reap massive rewards. To give you some context, Tesla has an NPS score of about 37, Apple has a score of around 72 and Toyota sits at a score of 76. 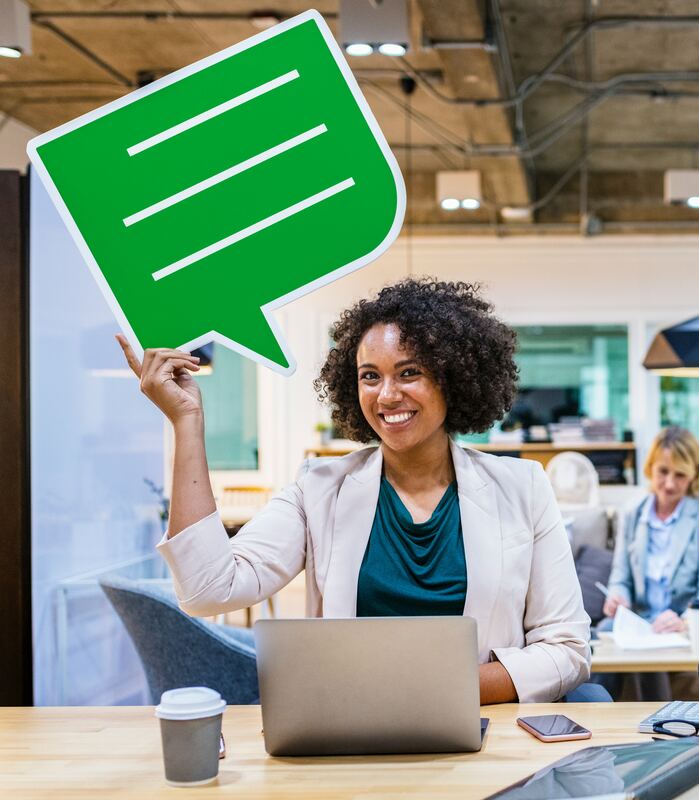 As a customer support employee, manager or business owner, one of your main objectives should be to increase your NPS score. If you are striving to cement your place among industry leaders, this is a never-ending pursuit that requires constant innovation. So, the big question...how can you increase your score? Traditional methods are too slow for the modern-day consumer. Customers want results yesterday. As the speed of our technology increases, so must our customer support. CloudApp's screen recording software offers software that rapidly accelerates the rate in which you can communicate and solve customer issues. 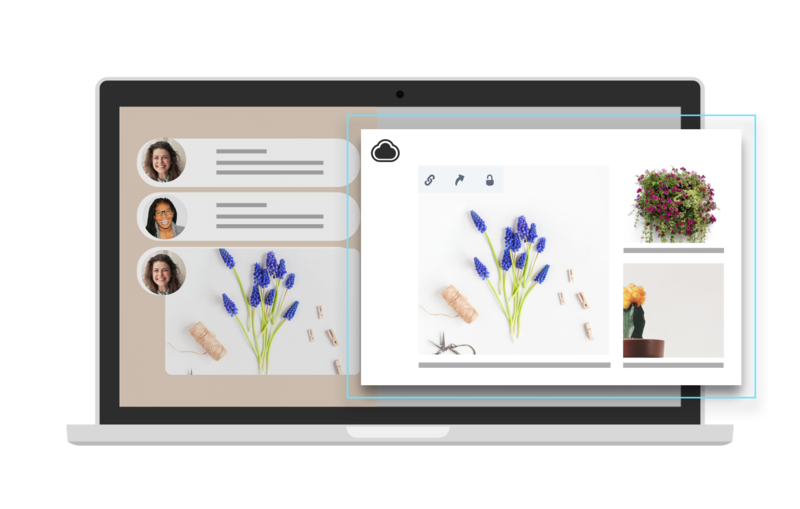 Instead of responding with long-winded emails, CloudApp provides an instant remedy through screenshots, GIFs and HD videos. 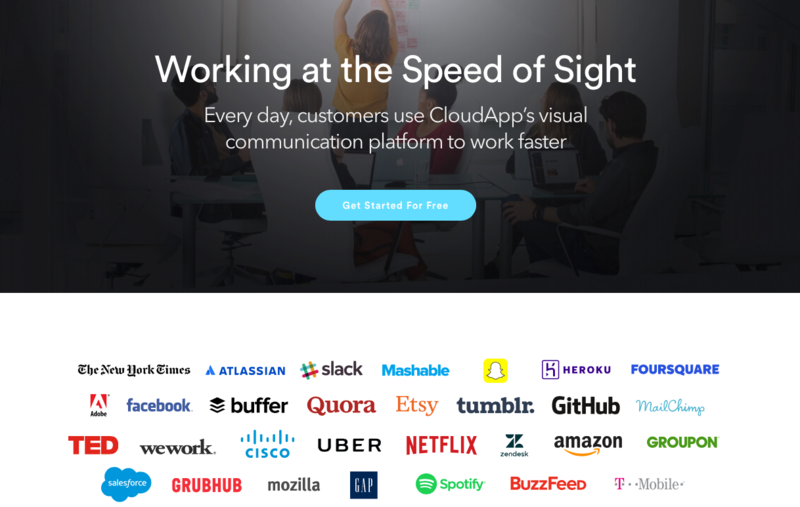 Why are teams from Facebook, Netflix, Amazon and Salesforce all using CloudApp to communicate? This software makes delivering consistent customer solutions simple. It turns out that it’s actually not that difficult to make your customers happy. It’s no secret that companies that prioritize their customer experience have higher profit margins (60% higher to be exact). The true secret to increasing your NPS score is fast and transparent touch points. CloudApp users are extremely efficient professionals who are obsessed with showing their customers that they matter. Going above and beyond no longer takes extra time out of your day. 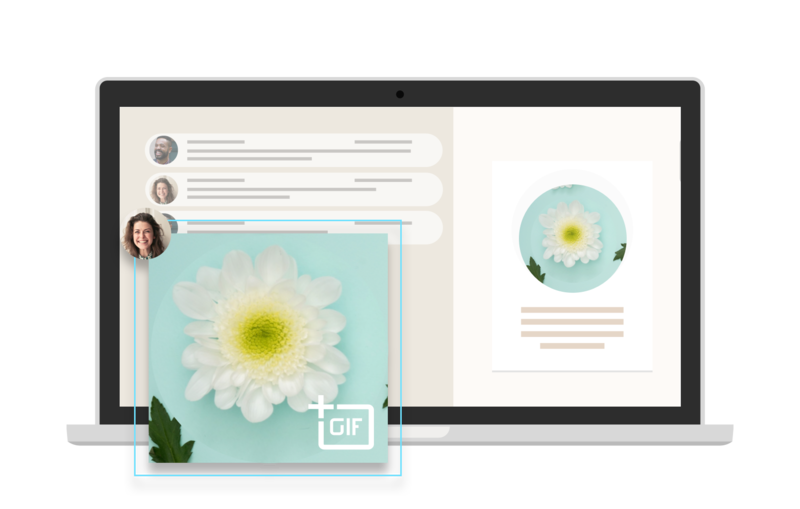 Create and edit GIFs with CloudApp's GIF creator feature. Boost NPS score with lighting fast customer service response times. When a customer has an issue, you can’t afford to waste a second. A simple misunderstanding can transform a loyal consumer into an active brand distractor in a matter of minutes. In the world of tech, customers need to be SHOWN a solution. Attempting to describe a sequence of events over the phone will result in a frustrated client. Sending an email response is impersonal and leaves plenty of room for error. 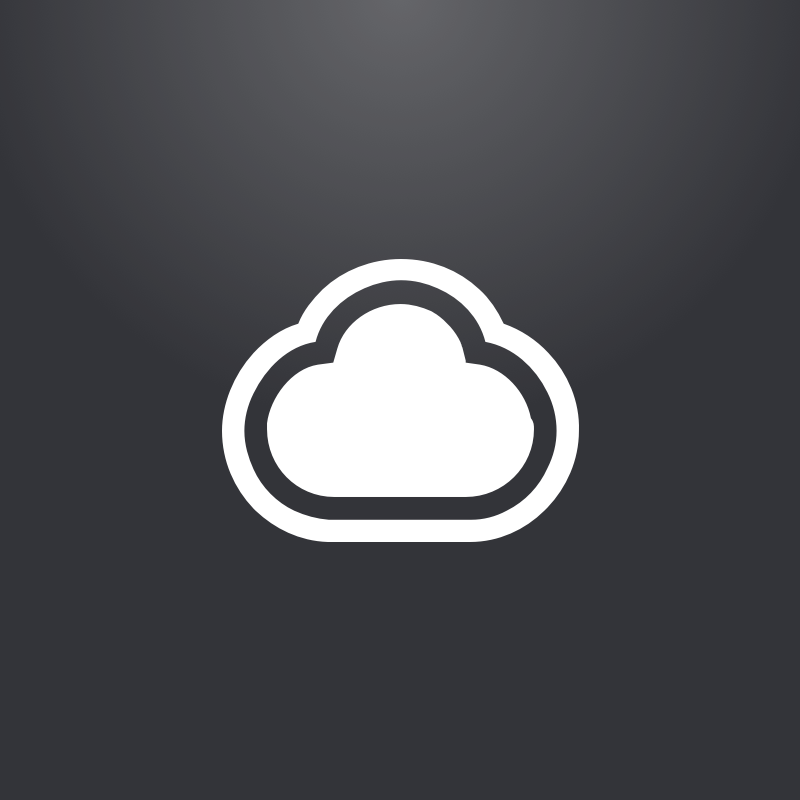 "With CloudApp, we were able to take 2 to 3 typed out interactions and combine them into 1 GIF or video. Which has eliminated for the rep the need to type out these mile long responses.” Steve Davis, Customer Support Manager. Record your screen as a loopable GIF to explain difficult concepts. Not only is a CloudApp solution faster, it also brings more value than a traditional response. The problem with most customer support teams is that they use industry language. If you work for a SaaS company, your customer will have no idea how to send you the logs so your engineering team can look into the bug.. Instead of verbalizing or typing a response, CloudApp allows you toy guide them to the solution they desire through visual communication. Humans are biologically wired to interpret and understand visual cues. An annotated screenshot can be about 300% more efficient than using text alone. A 5-step process that requires clicking multiple buttons on various web pages could be explained in a 700-word email. OR, you could spend 30 seconds to record your own screen to complete the act. The Harvard Business Review reports that brands who found ways to effectively break down industry-related information to their customers were 86% more likely to make a sale. These brands were also 9% more likely to be repurchased and 115% more likely to be recommended to others (3). You can add some rocket fuel to your NPS score by simply changing the way you communicate to customers. 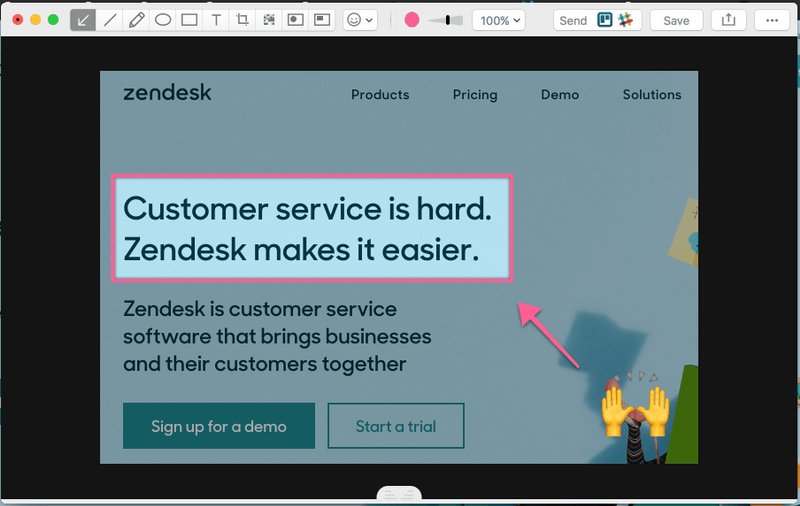 CloudApp makes it easy to capture your screen, mark it up with annotations in Zendesk tickets. Sometimes working in customer support can feel like bailing water out of a boat with a hole in the bottom. You help fix the issues of 10 clients and suddenly there are 12 more tickets waiting to be resolved in Zendesk. CloudApp is built for speed. It is a communication software that allows you to aid customers faster than ever before. The days of drowning in an endless sea of tickets are over. In fact, Social Tables uses CloudApp to close their customer support tickets 7 minutes faster, saving their team at least 3 hours per week. "It’s better if they can see a video while showing them how to use our software. It just saves so many steps." Caty Black, Customer Care Team Lead. A customer may be struggling to locate a specific feature on a landing page. A quick keyboard shortcut turns your mouse into a snipping tool allowing you to capture your own screen. Snap a screenshot of the webpage and use the image annotation tool to highlight the area of interest with an arrow or circle. Add text or even an emoji if you’re feeling cheeky. It all happens in seconds and saves you so much time. We don’t want to jinx it, but integrating CloudApp into your workflow might allow you to finally catch up! 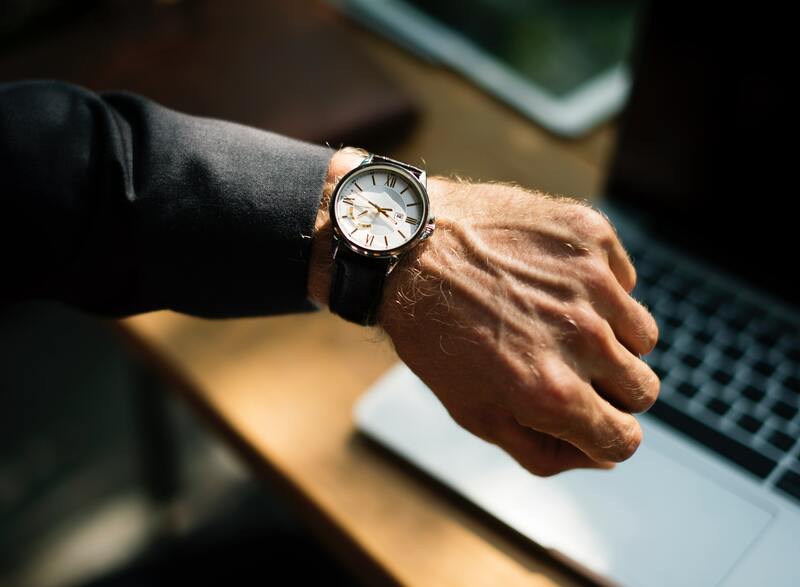 CloudApp empowers your team to decrease the average time spent resolving a ticket, allowing you to help more customers in need. This is a surefire way to increase NPS. Learn how to create your own tutorial videos with CloudApp. An email or IM is impersonal. Build a stronger rapport with your clients by recording HD videos with audio voice-overs. Being able to walk a client through an issue with visual and verbal cues will keep them calm and fix the issue faster. Customer support employees that use CloudApp can even record with their webcam and video at the same time. A screen recording, webcam combo is the best way to create a video tutorial. You don’t need a media background to edit a series of video clips together on CloudApp. Record, edit and send in minutes. These, “above and beyond” solutions will do wonders for your NPS score. Putting forth extra effort when helping a customer never goes unnoticed. The team at Buffer is impressing their clients with CloudApp by solving issues visually where others would use text. The customers are enjoying the solutions so much that they are now sending GIFs back to thank Buffer’s customer support! Record and share videos, GIFs, and images directly into a Slack messaging channel or chat. The demands of consumers increase every day. As they should; our tech is now faster and more efficient than ever before. The way in which you respond to an issue as a customer support employee says a lot about the brand you represent. Let’s compare two examples for a company that sells an electronic device with a camera option. The customer submits a complaint that zoom feature of the camera is not working. Company A responds 23 hours later with an email asking when exactly the client purchased the device and if they submerged it in water at all. Customer B utilizes CloudApp and asks her teammates on Slack if they have run into this issue before. Employee #2 has resolved this issue several times and sends three links with a screenshot, GIF and full tutorial video on how to remedy the situation. The original employee sends these links along to the customer in minutes. Which brand seems like the industry leader to the consumer? Customer A or B? Which brand would the customer be more likely to recommend to their friends and coworkers? Lengthy emails and phone calls were great in the 90’s. A company that integrates CloudApp into their customer service best practices is an organization that conveys innovation. One of the most frustrating aspects of customer support is answering the same questions...over and over again. When you create a digital solution for a customer, CloudApp allows you to save and sort those remedies into “collections”. The collections feature can be organized into categories and shared with your entire team. For example, you might have a collection with all of the solutions pertaining to subscription questions, another for payment concerns and another for onboarding issues. This not only allows your entire team to save time when resolving tickets, but it also creates consistency with your Support’s answers. A CloudApp collection like this eventually becomes a powerful internal knowledge base that guides your entire organization. The companies with the highest NPS scores focus on consistency. The Dollar Shave Club, which sold to Unilever for $1 billion dollars, maintained an above average NPS score by ensuring their core customer experience was consistent for every touchpoint. Collections give your entire organization the power to resolve in a consistent manner. Ready to start boosting your NPS score with CloudApp? Get started for free HERE.